It's been ten years of great music for a great cause. 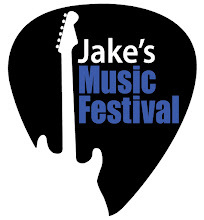 Next Saturday is the day for the next Jake's Music Festival. This year promises to be one of the best ever. We have an incredible line up of musicians playing everything from Celtic to folk to blues to surf and maybe even a little Zydeco. Plus we'll have soloists playing between the bands so the music never stops. Five hours of the best in local music and all for free. While there is no admission charge guests are encouraged to make a donation to the Juvenile Diabetes Research Foundation. Because of our generous sponsors every dollar donated goes directly to JDRF and the search for a cure to diabetes. 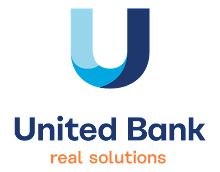 Thank you to Frames Unlimited, Perrin Brewing Company, Lake Michigan Credit Union, PC Specialist and Dodd's Record Store. Along with the music there are other really fun things happening at the festival. There will be a silent auction featuring original art, a signed book, bike stuff, and gift certificates from Terra GR, West Michigan Whitecaps, Grand Rapids Symphony, Grand Rapids Art Museum and the Civic Theatre to name a few. The concession stand will be open serving Perrin and other craft brews. There will be free cake samples from Connie's Cakes. Band CDs and other merchandise will be for sale. Plus this year we will have a commemorative t-shirt that lists all the performers from the 10 year history of the festival. There's a limited supply of these so make sure you get to the show early to get yours. Cost is only $15. Thanks to Jonny Logo for the design work. Limited edition 10th anniversary t-shirt. Only $15 at the show. It's going to be a great night. Make plans to be there. Doors at Wealthy Theatre open at 5:30 p.m. The show starts at 6:00 p.m. The full band line-up is located at the tab above or by clicking here. See you next Saturday!